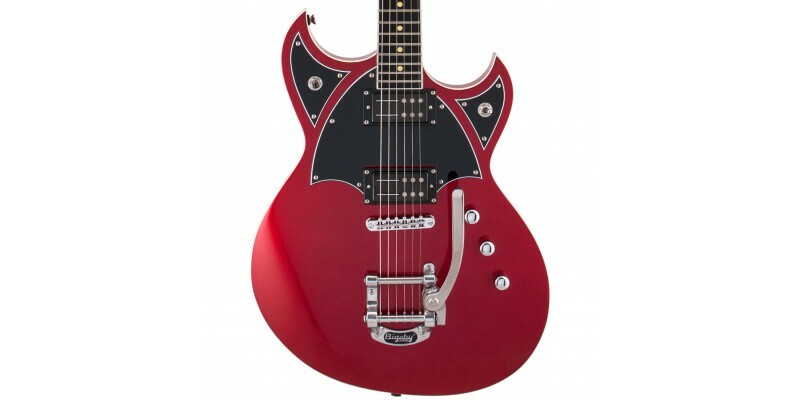 The Reverend Reeves Gabrels Spacehawk Metallic Red electric guitar features a semi-hollow construction. The Reverend Spacehawk has been upgraded for 2018 and now comes with an Ebony fingerboard, bound headstock and new pickup combination. For sale online and in our Glasgow shop. Fast delivery to UK and beyond. This is a pretty outstanding electric guitar. Not only does it look special it also has an amazing specification. 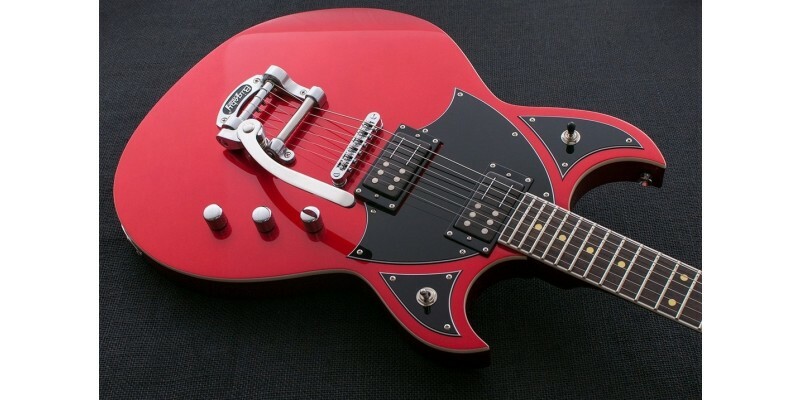 The Reverend Reeves Gabrels Spacehawk comes with a semi hollow korina body. A centre block and a sealed maple top really help against feedback. The body also comes with a forearm contour. It makes playing the Space Hawk a more comfortable experience. 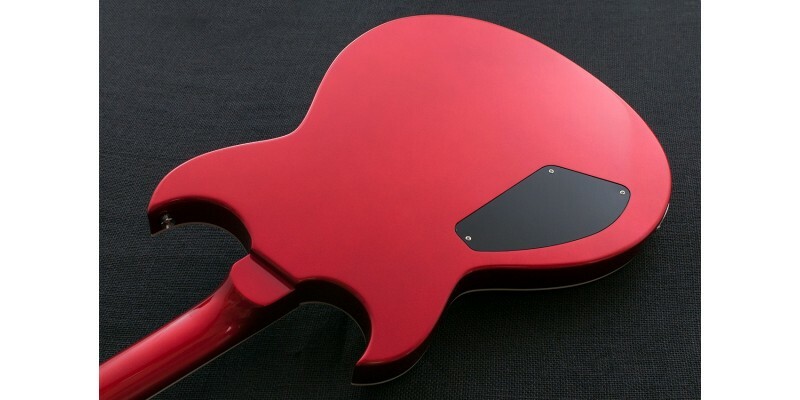 The body and back of the neck feature a gloss metallic red finish. The three piece korina neck comes with a 24 3/4 inch scale. This is a classic instrument with some really nice modern touches. 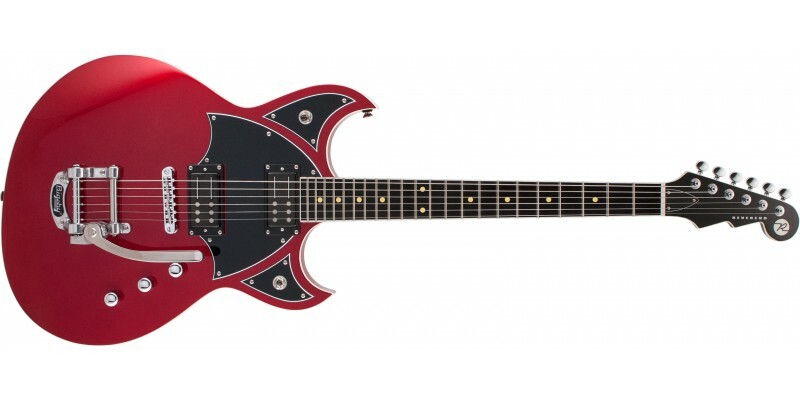 The Reverend Spacehawk now features an Ebony fingerboard and a bound headstock! Railhammer pickups, Bigsby Tremolo, Kill Switch and Locking Tuners. As well as being fantastically well built the hardware is outstanding. The Reverend Reeves Gabrels Spacehawk now comes with a set of signature RG Railhammer pickups. The Reeves Gabrels signature pickups are based around the Railhammer Alnico Grande in the bridge and a Hyper-Vintage in the neck position but wound hotter for a fatter tone. This is a versatile setup. Combined with a phase switch, three way switch, kill switch and bass contour control, it is very capable. From classic cleans through to high gain madness. Railhammers tighten up the low end and fatten up the top end. A Bigsby with a custom spring works super smooth. Since you get locking tuners on the Spacehawk the tremolo stays in tune better. 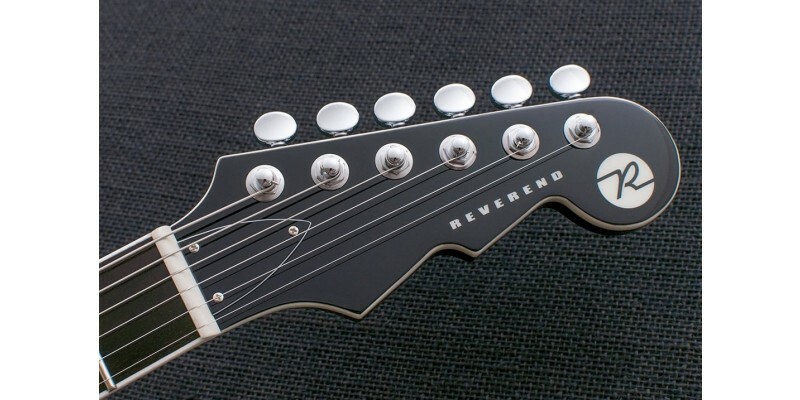 All Reverend guitars now feature a new Boneite nut which gives the appearance and tonal qualities of bone with the self lubricating properties of graphite.